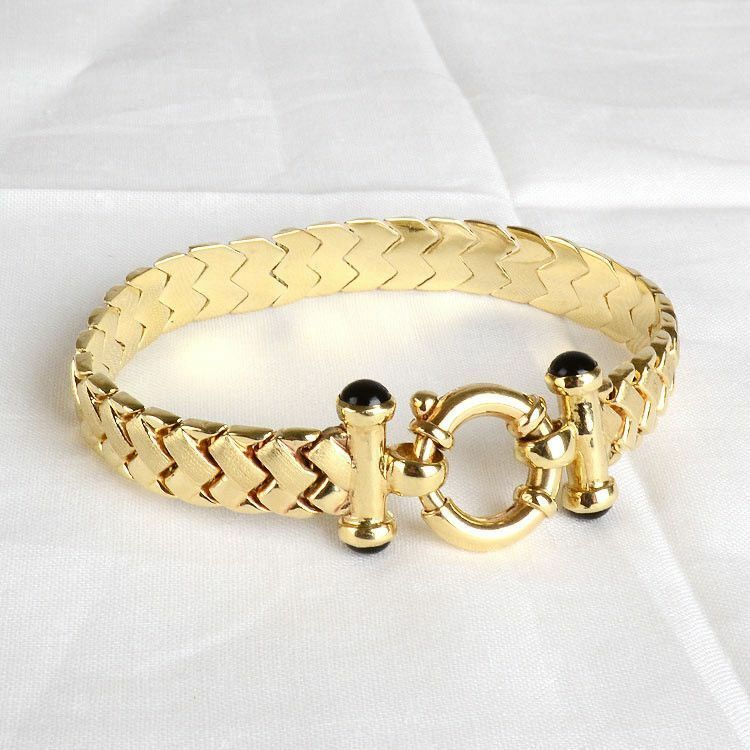 This genuine 14 karat solid gold bracelet was masterfully hand-crafted especially for our customers here at The Russian Store. 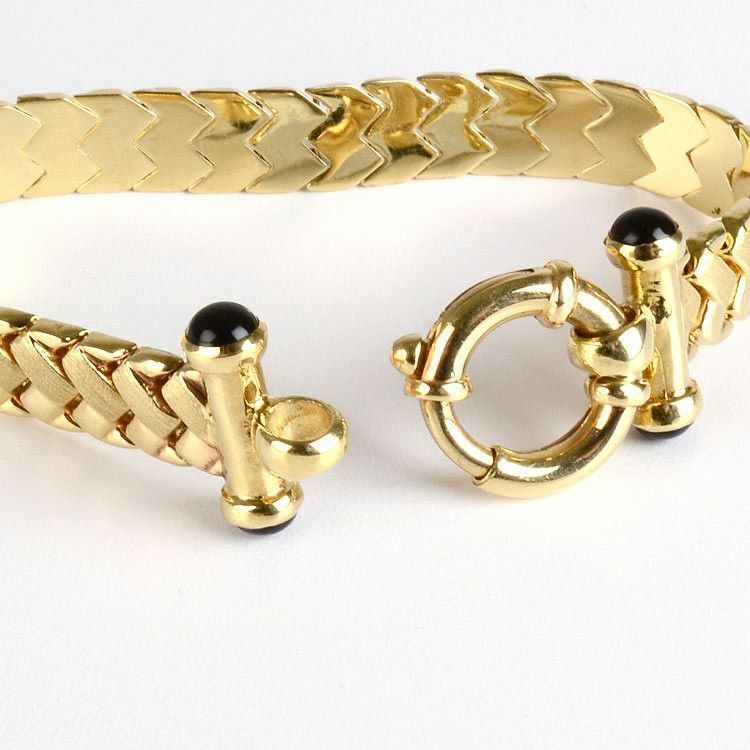 This bracelet features a unique smooth and brushed design duo throughout with a unique clasp as well. 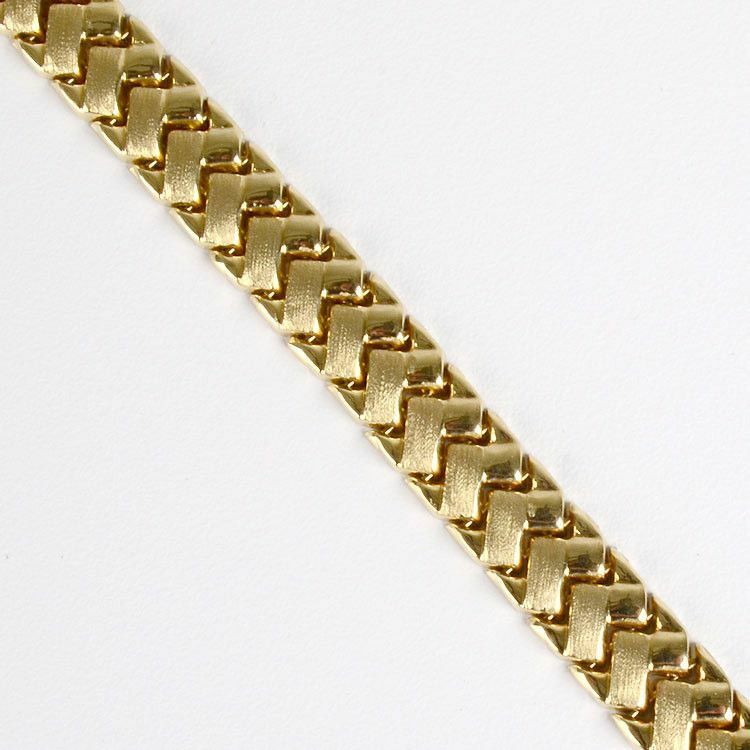 It measures 3/8" to 5/8" wide and is 15.5 grams.